While it was working it usually looked like this and provided users with informations about the various site components or past uptime records. 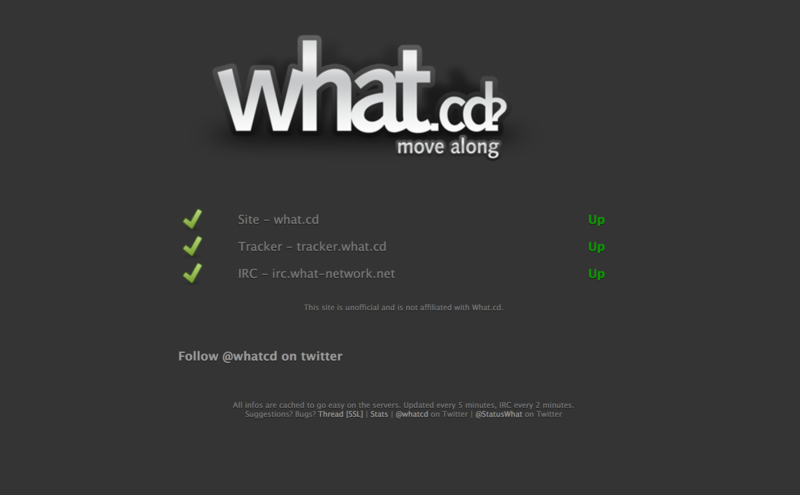 There was also a Twitter account @whatcdstatus providing support and additional informations to users. This was all unofficial and not affiliated with What.CD. I'm happy to sometimes see forks of the codebase running for other trackers or projects that got inspired by it and build better projects like trackerstatus.info. My crappy codebase is still open source and can be found on Github: github.com/dewey/WhatStatus. Just keeping this domain alive for nostalgia's sake.